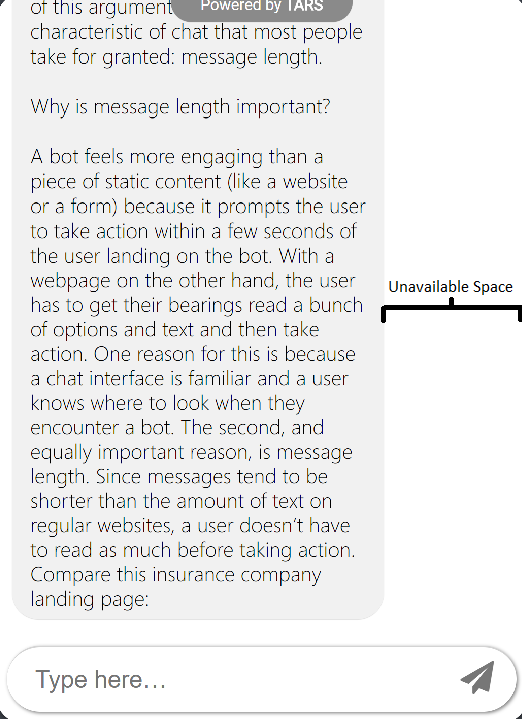 Why is message length important? A chatbot feels more engaging than a piece of static content (like a website or a form) because it prompts the user to take action within a few seconds of the user landing on the bot. 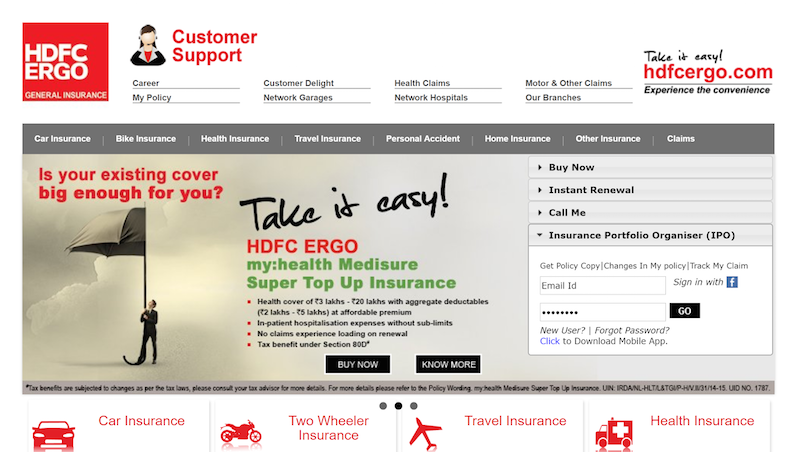 With a webpage, on the other hand, the user has to get their bearings, read a bunch of options and text, and then take action. 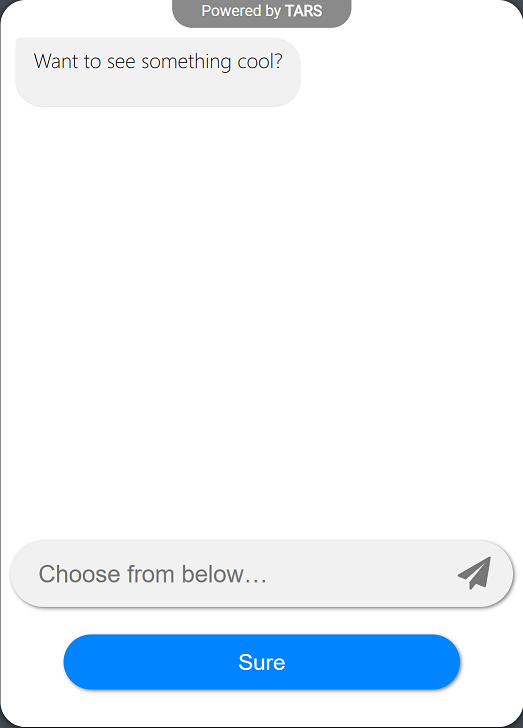 One reason for this is because a chat interface is familiar and a user knows where to look when they encounter a bot. 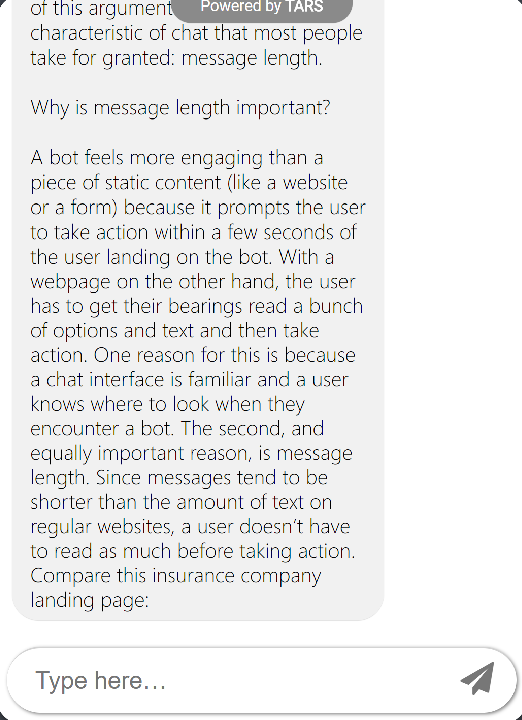 The second and equally important reason is message length. Since messages tend to be shorter than the amount of text on regular websites, a user doesn’t have to read as much before taking action. 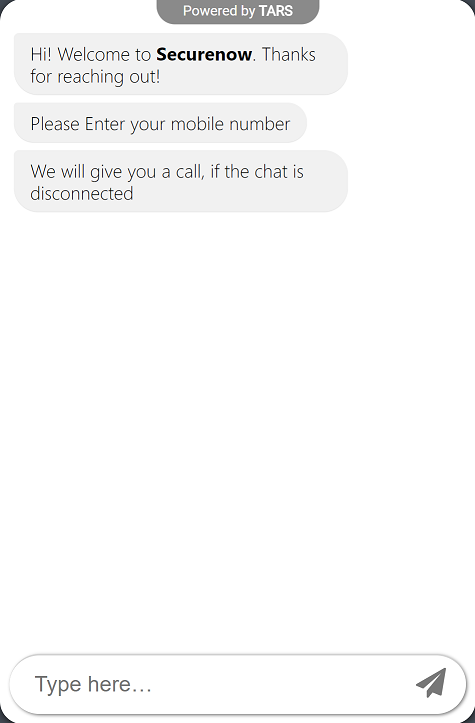 The short messages of the bot prompt the user to act immediately where the page requires more reading. Their first gambit as a question is intriguing and connects to the message of their flow. To prevent my messages from getting too long, I generally follow the Twitter rule and keep my messages the size of a tweet. Smartphones and the internet have made instant gratification easily accessible for most of your users. So your bot shouldn’t take more effort to interact with than scrolling through a Twitter or Instagram feed. Contradictory, I know. The Twitter rule is a reference but you do have some wiggle room on either side—and in some cases, a longer message makes sense. For example, when I want to send users a schedule for an event, I find it easier to send one long message so that they have a schedule they can screenshot. If you didn’t read last week’s best practices, go read the post—and get used to this point because it will come up in pretty much everything. Start with the Twitter rule, make adjustments where you feel necessary, and then test, test, test. The message length that you like to receive is probably close to the message length that most people like. Once you’ve tested it a few times and you’re happy with how the messages look and read, hand it to someone else and have them look at it with fresh eyes. Agree with these pointers? Disagree? Maybe there’s something we missed. Let us know on Twitter. Header image by Michelle M. F. CC BY-SA 2.0. Ish is the founder of Tars, a technology platform that enables businesses and brands to build conversational bots with no programming knowledge at all.